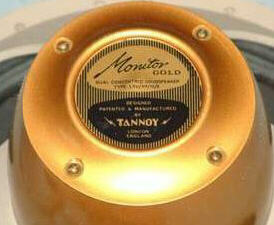 What is a "Tannoy Monitor Gold" speaker? 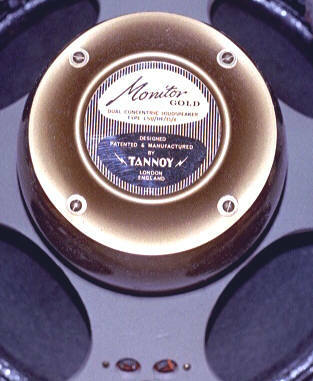 A Tannoy Monitor Gold is a "DualConcentric" ™®© speaker system in a single chassis with a external crossover filter. 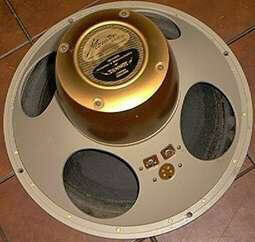 It has the woofer and the tweeter incorporated in the same chassis. So to say: two in one. 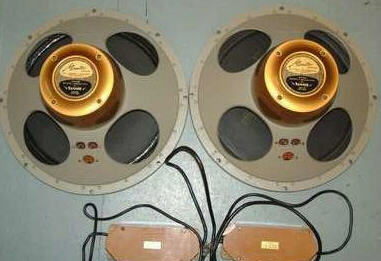 It was intended to be used in radio and recording studios as a studio/audio monitor. 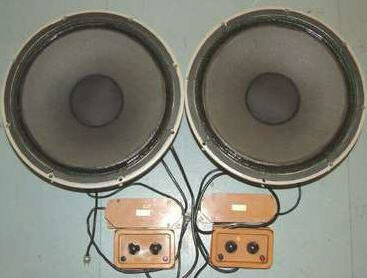 Many audio enthousiasts discovered these well sounding speakers and put them in their homes. 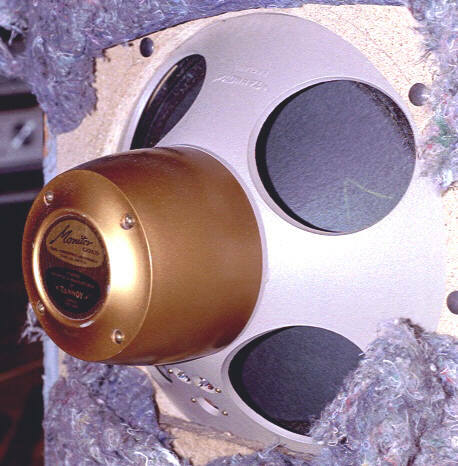 Altough the speaker chassis were made with extreme quality standards, the cabinets were sometimes not. 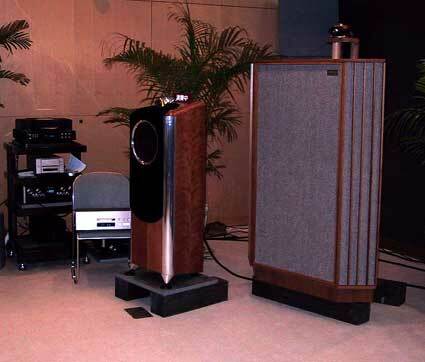 Only the bigger cabinets made by Tannoy were flawless. Experiencing that not all the cabinets made by Tannoy were the best, many Tannoy owners started building their own cabinets. 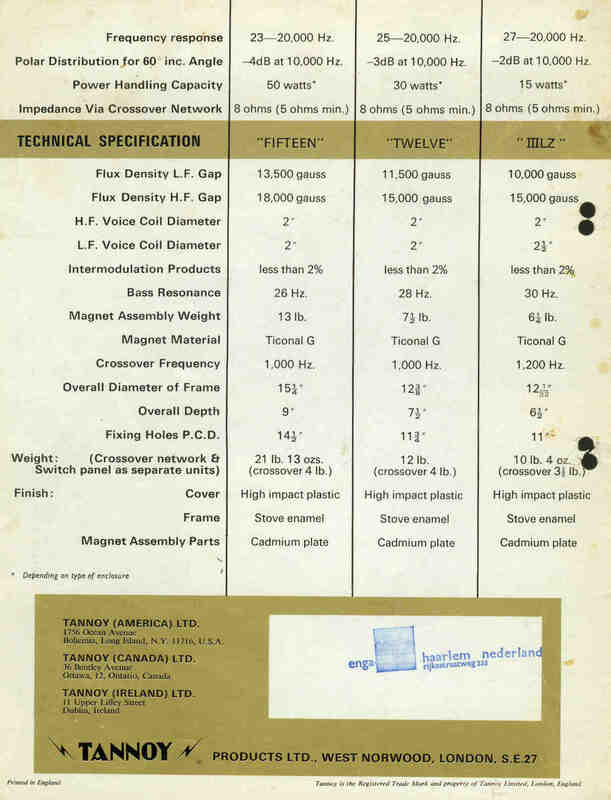 This proved to be the solution to some of the low quality cabinets made by Tannoy. On this site you can see the results of these building practices. 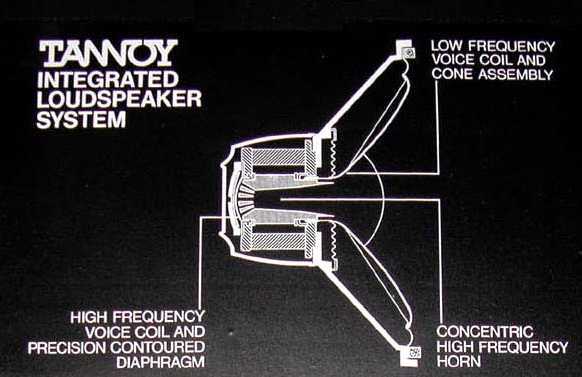 Also you can take notice of some history and the fact that Tannoy is the best speaker ever made. 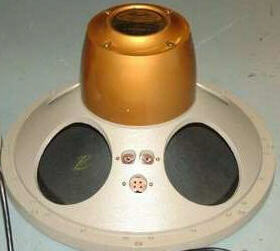 Below you see this speaker design explained and some photos of the driver chassis and the crossover filter. 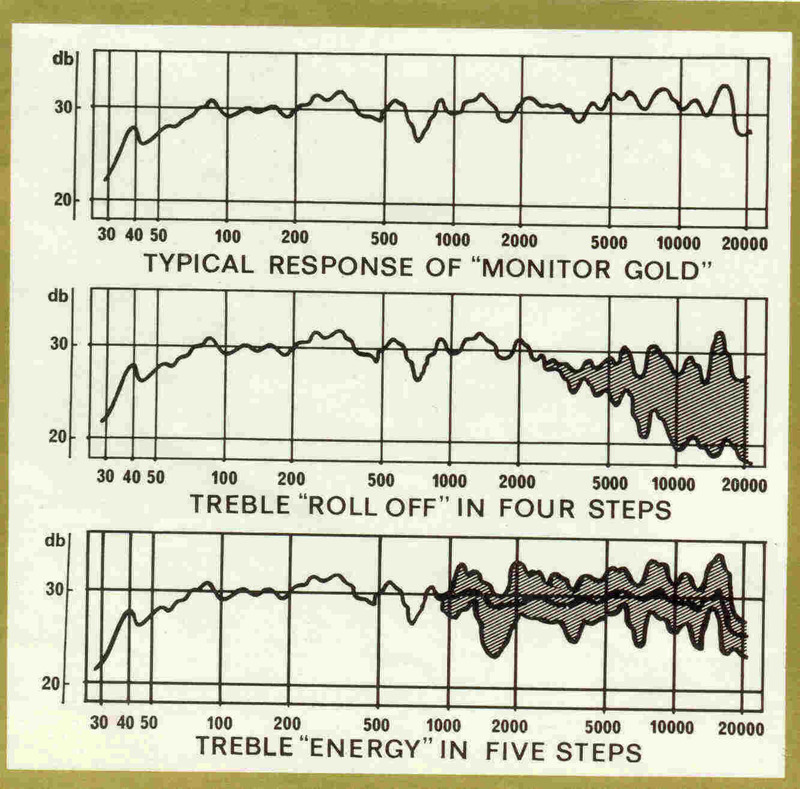 Inside the chassis of the Monitor Gold 15. 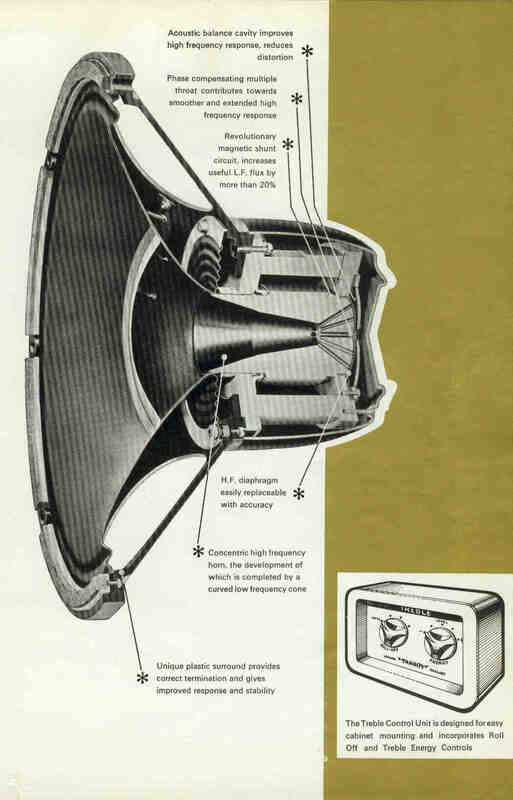 Comparing a modern Tannoy speaker with a vintage Tannoy speaker. © Hans Hilberink PE1MMK ® last update: 21-05-2013.